In Huff v Spaw, the 6th Circuit Court of Appeals decided that a person does not have a reasonable expectation of privacy in conversations through a pocket dialed cellphones. Mr. Huff pocket dialed Carol Spaw who recorded a 91 minute conversation between Mr. and Mrs. Huff that involved sensitive information. Mr. Huff admitted at deposition that he knew the risks of pocket dialed cellphones and did not take steps to prevent it. The Court of Appeals compared the situation to a homeowner speaking near an open window. Mrs. Huff did have a reasonable expectation of privacy because she could not be expected to protect Mr. Huff’s phone against pocket dialing. With new technology coming out every single day, we must be aware of the risks and benefits of it. The risks are that incidents like Mr. Huff’s might occur to you. Mr. Huff was lucky in that he and his wife were not discussing anything criminal. However, had the conversation been criminal, the results could have been extremely serious for Mr. Huff. The lesson here is be careful with what you say, how you say it and who may be hearing it. Michigan Criminal Defense Attorneys that are creative, passionate, fearless and looking forward to helping you through your criminal law problems. Criminal law and its defenses can change on a daily basis. Several years ago, the thought of a pocket dialed cellphone and having legal issues because of it was not even under consideration. The ever changing criminal law is why you must have an attorney who is up to date on everything related to any, and all, defenses available and/or creative enough to think of additional defenses that can be used to help you. Because of the ever changing nature of criminal law, you must have an attorney that only practices criminal law. An attorney who practices criminal law, and other areas of the law, cannot possibly be current on the law and therefore will likely miss something in their attempt to represent you. When your freedom is at stake, you need to have the very best and brightest standing with you. The attorneys at LEWIS & DICKSTEIN, P.L.L.C. are nationally recognized as top of the line criminal defense attorneys. 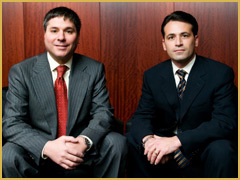 The firm’s attorneys are award winning and respected by their peers, the judiciary and current and former clients. When you think about placing your future in the hands of an attorney, you want the best. LEWIS & DICKSTEIN, P.L.L.C. is here to help you. 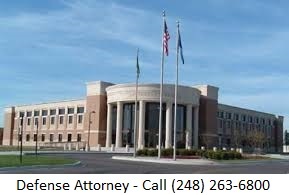 Please contact us at (248) 263-6800 or if you would like, complete a Request for Assistance Form and one of our premier attorneys will contact you. We look forward to hearing from you and we are not afraid to win.